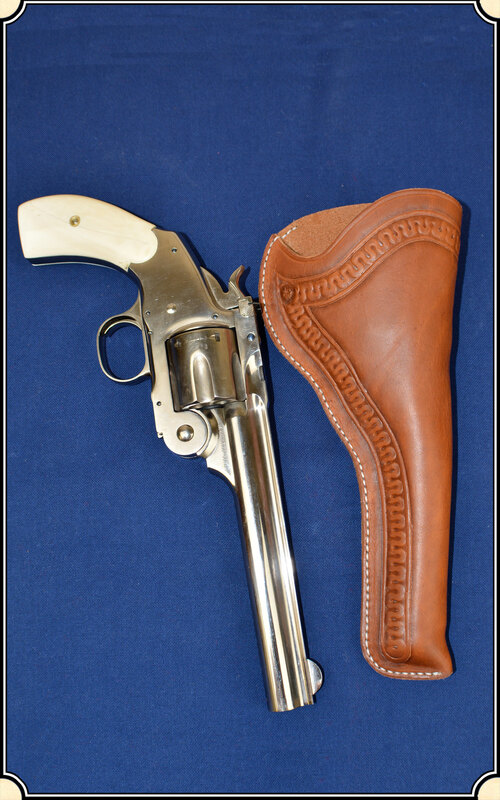 These are classic old west holsters, copied from originals in the River Junction Collection. 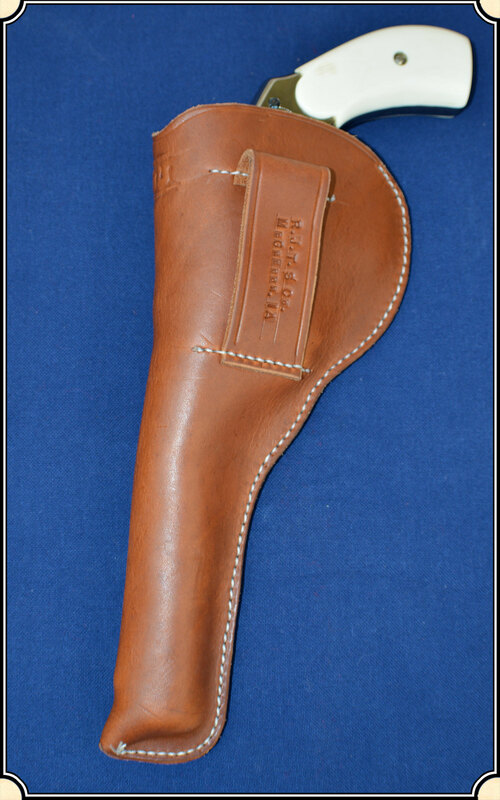 This oiled light tan Slim Jim style Holster has a rolled border, on another wise plain pouch. It is simple and unlined. 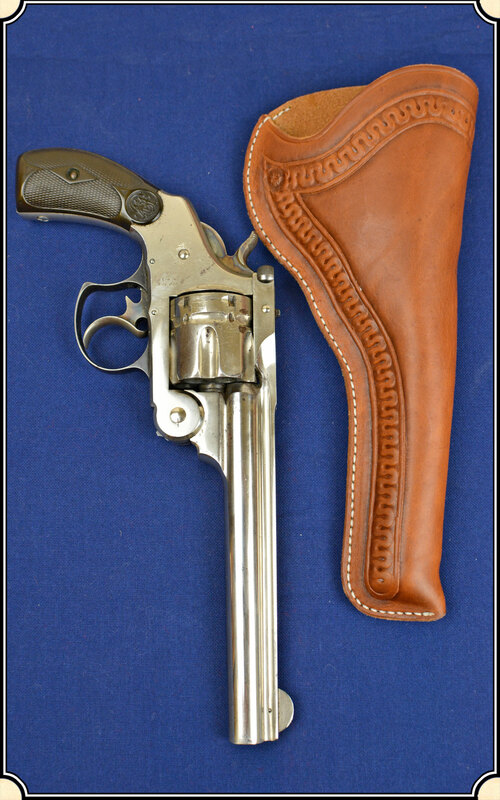 It will fit a Smith & Wesson Double Action Frontier, a Smith & Wesson New Model 3, a S&W M&P .38 and a variety of revolvers with 6 1/2" barrels, that do not have ejector rod housings. 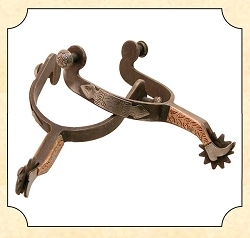 With sewn closed toe, for left or right hand draw. 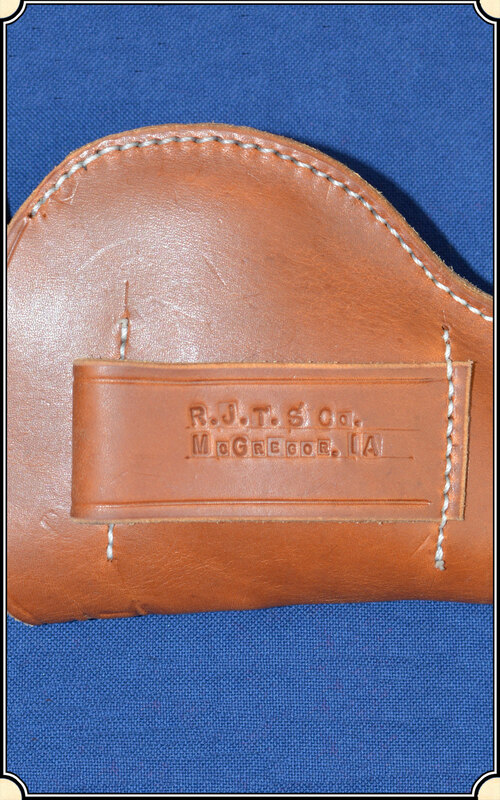 Holsters of like-quality commonly sell for $100 to $200. MADE IN THE USA. 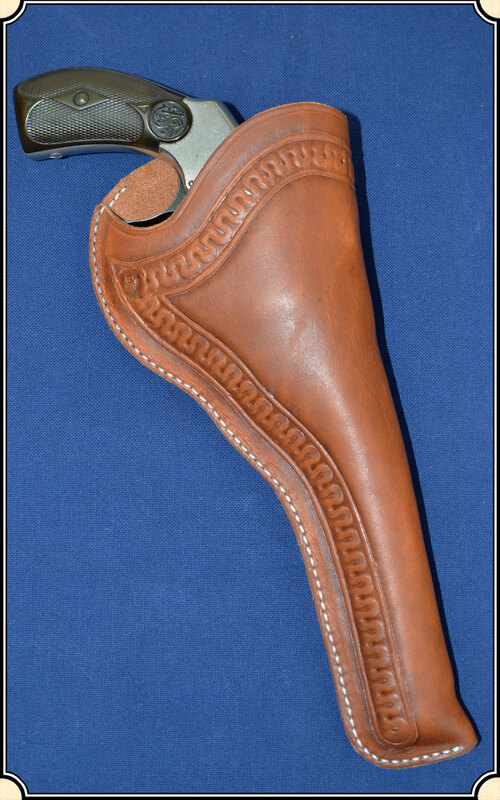 Most all of our holster designs are made from originals we have found. 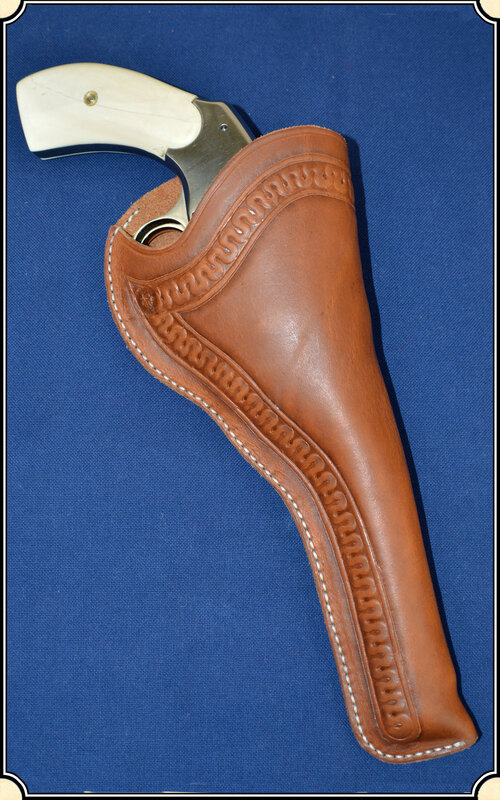 These holster are crafted for River Junction by our most talented leather-smith. Each piece is hand-made for us and cut in their shop from the hide. 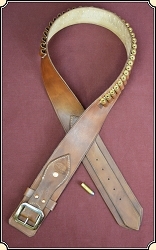 The piece is worked and tooled right on the crafter's bench and all are dyed, oiled and sewn by hand. It is the hand sewing that makes for the strongest stitch much superior to the machine stitch. All that at the most favorable price.